Laila Velez, a third-grade student at Lamar Elementary, received national recognition in the “Art Energizes STEAM” 2017-2018 Crayola Art Expo. Her artwork entitled “Reflection of the Sunset,” was one of just five awarded in her age category nationwide. 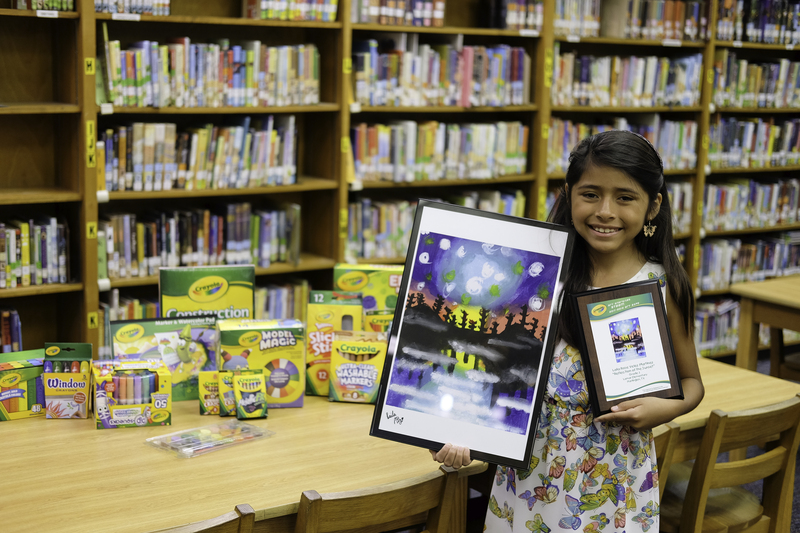 As part of the national recognition, Velez was awarded a vast collection of Crayola products worth $200. The curated collection of finalists’ artwork will be donated to the U.S. Department of Education to become part of the permanent collection of children’s art, on display in Washington, D.C. and the Department’s regional offices. “I’m excited and nervous at the same time that my painting will be put on display in Washington D.C.,” she said. The annual Crayola Art Expo is open to students in pre-K through grade 12 and received more than 1,600 entries this year.